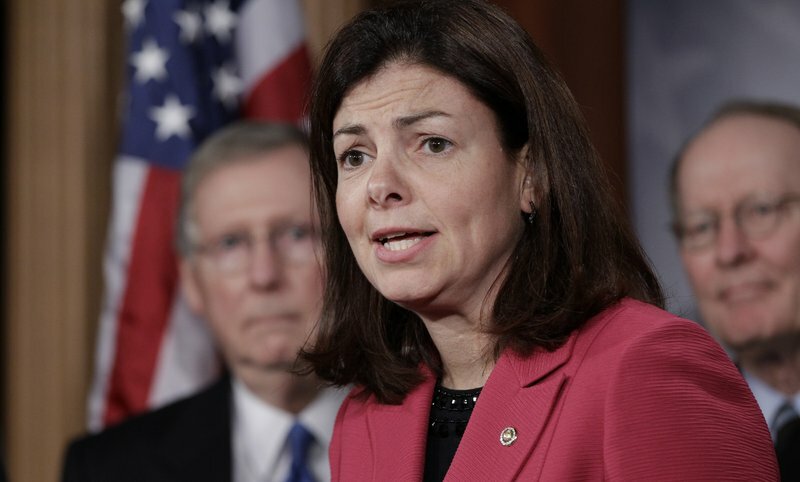 Sen. Kelly Ayotte: Young, female … and Republican? Sen. Kelly Ayotte, 44, an unusual go-to figure for the GOP, is being touted as a new influential voice. The three Republican senators emerged grim-faced from a basement meeting room in the Capitol on Tuesday and took turns before a bank of television cameras, blasting away at the Obama administration for its handling of the deadly attack on an American outpost in Benghazi, Libya. 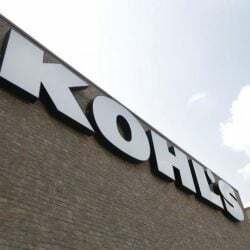 The first two were prominent national security heavyweights, Arizona’s John McCain and Lindsey Graham of South Carolina. Then the third senator, Kelly Ayotte of New Hampshire, stepped forward. A freshman in her second year and ranked 99th in seniority, Ayotte said she had not been swayed by the administration’s efforts to explain how and why U.N. Ambassador Susan Rice had initially suggested the attack was the result of a spontaneous street protest, instead of a coordinated terrorist attack. “I want to say I’m more troubled today,” said Ayotte, after the three met with Rice. Ayotte sits on the Senate Armed Services Committee alongside McCain and Graham, and has increasingly used a growing partnership with the two senior members to become one of the GOP’s most visible figures on national security issues. This week, Ayotte was everywhere expressing concern at the possibility that Rice could be nominated to succeed Hillary Rodham Clinton as secretary of state. Those concerns were not being taken lightly as Ayotte has emerged as a newly influential voice in a party that does not have many like hers and desperately needs them. “She has the potential to be an important voice in the Republican Party,” said Tom Rath, a top adviser to Mitt Romney who has deep roots in New Hampshire and has known Ayotte her entire professional life. One sign of Ayotte’s new stature is that when the embattled Rice decided to try to mend fences with critical lawmakers, Ayotte was included in the first and most important meeting. At 44, she is a fresh face in a party that has lagged behind in advancing women into its most powerful positions and in making a convincing case to many female voters. Ayotte infuses new blood into the GOP national security brain trust in the Senate led by Graham and McCain. It is an unusual role for a first-term senator, particularly one who arrived in Washington without a national profile. But Ayotte has been tapped repeatedly by the GOP to carry the party’s message. She has twice delivered the official response to President Barack Obama’s weekly address and served as a tireless surrogate for Romney during his presidential campaign. Ayotte’s name is regularly included on long lists of Republicans who might run for president in 2016. She laughed off that speculation. “I don’t know where they get that,” she said. Ayotte and her husband, a pilot with the New Hampshire National Guard, have two children, ages 8 and 5. The senator said many people might see themselves in her everyday effort to balance family and work. “This is what many Americans are dealing with,” she said. Ayotte’s partnership with McCain and Graham on Benghazi began shortly after the attack, which is now understood to have been an al-Qaida effort to kill Americans. Ambassador J. Christopher Stephens and three others died in the attack. Ayotte’s role in the trio has been filled in the past by Sen. Joseph Lieberman, I-Conn., the former Democrat who is retiring from the Senate in January. The three of them were cheekily dubbed the “three amigos” on the Hill, and over the years, they repeatedly joined together to push for a strong U.S. interventionist role in the world. “I don’t even purport to try to replace him,” Ayotte said of Lieberman. But she said she shares with Graham and McCain a view of the U.S. role in the world that makes for a natural partnership. On Thursday, the Senate adopted an amendment sponsored by Ayotte to ban the transfer of Guantanamo Bay detainees to the United States on a bipartisan vote, 54 to 41. Whether Ayotte uses her heightened visibility to become a spokeswoman for the right or tries to become more of a bridge between the parties remains an open question. Her questions about Rice have angered many Democrats, who see the dispute as a partisan witch hunt. In her run for the Senate, Ayotte was embraced by conservative icon Sarah Palin as the kind of “Mama Grizzly” the GOP should advance. And unlike each of the “three amigos,” she has not yet broken with her party on a high-profile issue. Lieberman has parted ways with his longtime friends on Rice, indicating that he does not think the Benghazi incident should disqualify her from serving as secretary of state. But Ayotte does boast some bipartisan credentials. She was twice appointed attorney general in New Hampshire, first by a Republican and then by a Democrat. And McCain and Graham have traditionally been eager to work with Democrats on a wide variety of issues, and she may fit that mold in future years. “If she’s going to replace me, they’ve found somebody obviously more brilliant and more beautiful,” Lieberman said. He praised Ayotte and another GOP first-term senator, Florida’s Marco Rubio, for sharing his “pro-democracy, pro-freedom, keep America strong in the world” principles. But he counseled that McCain, Graham and Ayotte will need to pull in a Democrat to join their group if their work is to continue to carry weight in the next Congress. Rath said Ayotte’s high-profile role with the Romney campaign came after she “sparked” with the former Massachusetts governor and his wife, Ann, at a breakfast meeting in Concord well before the New Hampshire primary. Ayotte provided Romney an early boost in her state with an endorsement last November when he was locked in a tough multi-candidate battle for the nomination. She then campaigned extensively for Romney across the country, becoming a staple on the Sunday show circuit. “She was as willing a soldier as I’ve seen in a campaign,” Rath said. McCain called her “very serious” and “a very quick study.” He said he has come to believe Ayotte could be a leader in the mold of Margaret Chase Smith, the trailblazing Maine Republican who served four terms in the Senate. “I see her kind of in that tradition — working hard and being involved in national security issues,” he said.